I just figured out that at the rate I am going through these boxes, I will be here another three months, which I CANNOT DO. How do I figure out this puzzle?? I can’t stay another three months. I’m pretty much going as fast as I can. Thinking, thinking, thinking, solutions welcome. Forgive me for the cliched image, but I don’t have a picture of me trying to rip my own head off. 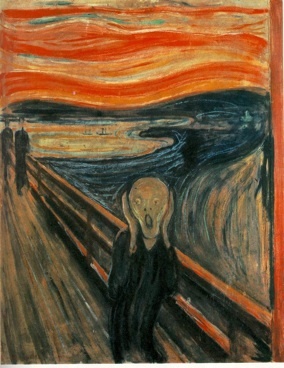 Speaking of the Scream, did they ever get this painting back?